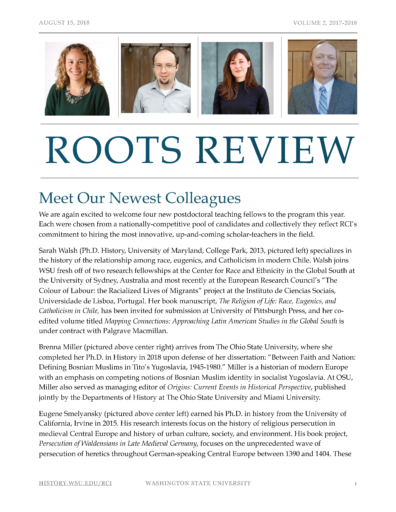 Thank you for your interest in the Roots of Contemporary Issues program. 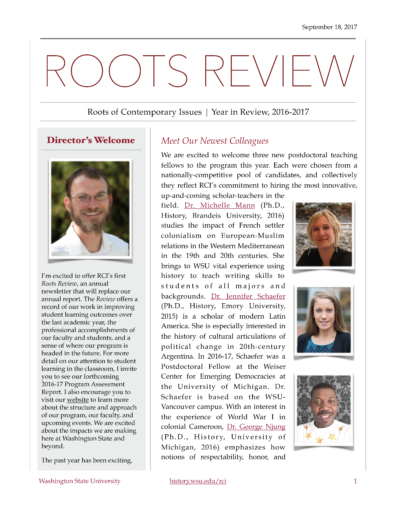 Each year, the assistant director issues a newsletter report – the Roots Review – to offer insight into the latest accolades, accomplishments, and teaching and learning initiatives of which our faculty and students are a part. Please click on the images to the right to download the most recent and/or past reviews.